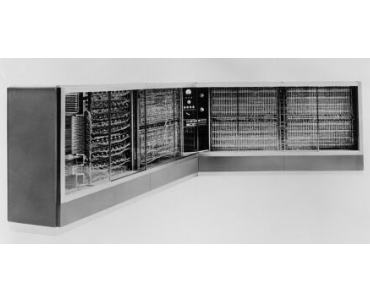 The IBM 705 was one of the most powerful data processing systems of the mid-1950s. It was engineered primarily to handle business data. The computer's memory consisted of tiny ferrite cores strung on frameworks of fine wire.